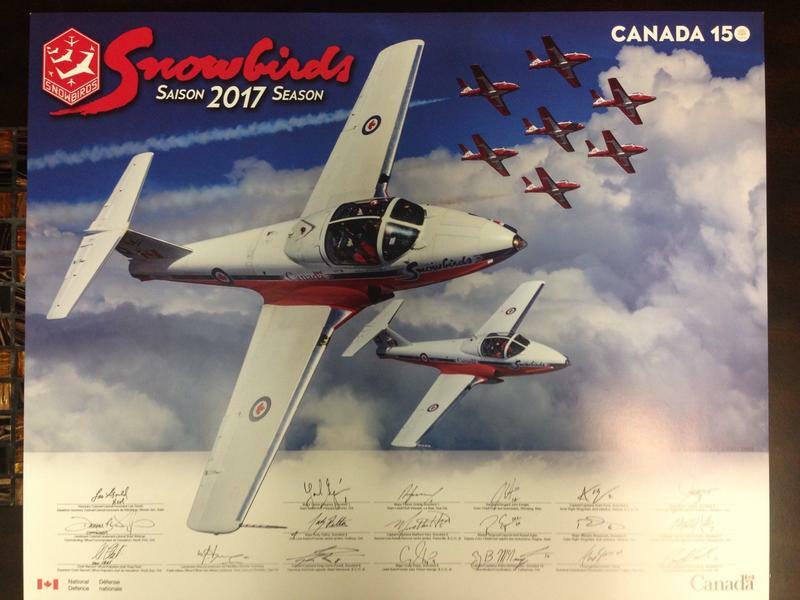 A commemorative and signed litho from the famous Canadian Snowbirds aerobatic team, 431 Air Squadron based in Moose Jaw but famous throughout the world! This item, a special print in recognition of Canada's 150th birthday, has been signed by each member of the Snowbird team for 2017! Size is 16" x 20".